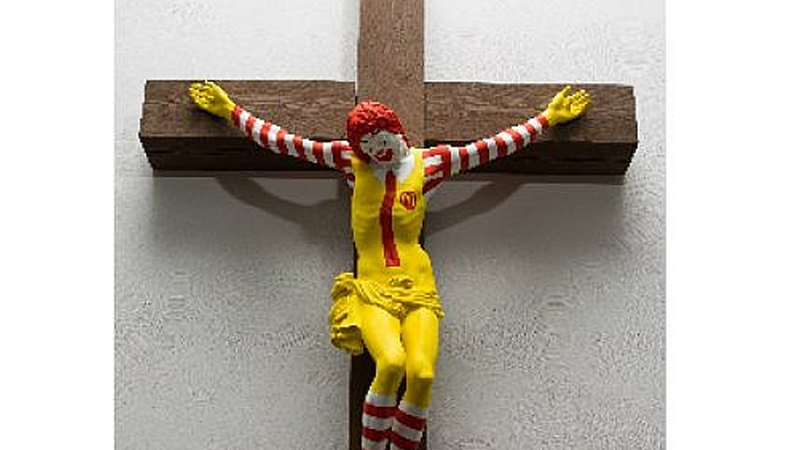 Hundreds of Arab Christian demonstrators tried to force their way into Israel’s Haifa Museum of Art last week to protest its display of a sculpture of Ronald McDonald, the clown mascot of the fast-food giant, on a cross. The Times of Israel reported that three police officers were injured by rock throwers during the demonstration. “Video from the demonstration showed scuffles as police used tear gas and stun grenades to clear the protesters,” the Times reported. A molotov cocktail was thrown at the Museum entrance ahead of the main protest. The artist’s personal site shows a series of sculptures depicting cartoon figures on crucifixes. The show in Israel entitled “Sacred Goods” explores the ideal of a “holy land” and consumerist culture. It also includes a depiction of Jesus as a Ken doll, as well as other religious images placed in consumerist settings. One protester complained that the government was slow to react to their concerns because they were from the Christian minority. “If they put up [a sculpture of] Hitler with a Torah scroll they would immediately respond,” he told the Walla news site (as reported by The Times). Israel’s conservative Culture Minister Miri Regev sent the Museum a letter protesting the show. ““Disrespect of religious symbols sacred to many worshipers in the world as an act of artistic protest is illegitimate and cannot serve as art at a cultural institution supported by state funds,” she wrote. But her threat to reduce the Museum’s funding was overruled by the Deputy Attorney General. According to Fox News, the artist agrees the sculpture should be removed. But he has a different reason – he belongs to a group that supports the Boycott, Divestment, and Sanctions (BDS) movement, which wants to avoid doing business with the Jewish state. 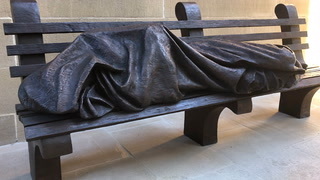 Please tell us if you think Christians should protest or ignore this sort of artwork.